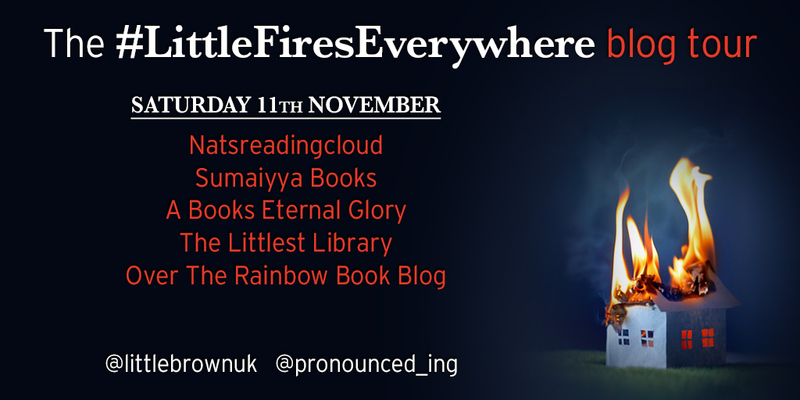 Little Fires Everywhere absorbed me by the very first page, I had very little to no idea what I was really going in to when I opened this book and that added to my excitement of actually reading it. LFE begins with a fire destroying the Richardson house, and from there the action takes us back to the day that Mia and Pearl arrived in Shaker Heights which really pulled me in and held me down. Set in the suburb of Shaker Heights, where everything is carefully planned and controlled by it's many rules that the residents must stick to. Your house depending on its type can only be painted a certain colour, your rubbish cant be collected from the front of your house and grass must be cut promptly just to name a few of the restrictive rules. Its clear to see from the to see that any person to move into Shaker Heights who doesn't always fully conform or never does, the effects they would have would cause great damage. Mrs. Richardson lives by the rules which having been raised by them is no surprise, and she has raised her four children (Lexie, Trip, Moody and Izzy) to abide by them as well. She rents a little apartment in the suburb to Mia Warren and her daughter Pearl who are in comparison, less fortunate. Mia is a free spirited artist who lives her life to the fullest. These women have one thing in common and only this thing and that is that they love their children immensely and accept each other's as their own. These mothers relationships with each other and their family and everyone in the town is threatened when a custody battle ensues between a friend of the Richardsons, Mrs. and Mr. McCullough, who are in the middle of adopting a Chinese American baby and a friend of Mia's, Bebe, who is the birth mother. The battle wrecks havoc on the town and causes incredible strife between the families involved. As the youngest child of my family this book gives me such an insight and with remain with me for a long time, it has an effect I cant quite explain but it has helped me see things in an ever so differently light which was no surprise but at the same time it was just as much of a surprise. 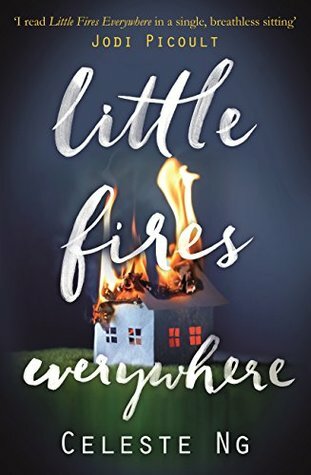 Little Fires everywhere brought laughter and plenty of tears. It is just that kind of read. I can't recommend this book enough, it's captivating, compelling and full of heart. Celeste Ng's has a wonderful ability to intertwine characters and storylines in a way that is both brilliant and beautiful. I loved every second of this book and cant recommend it to anyone enough, its a definite 5/5 from me and I hope anyone, mother or child would pick up this book and dive into the deep behind the bonds of parent and child. Thanks to Grace Vincent for allowing me onto this book tour. 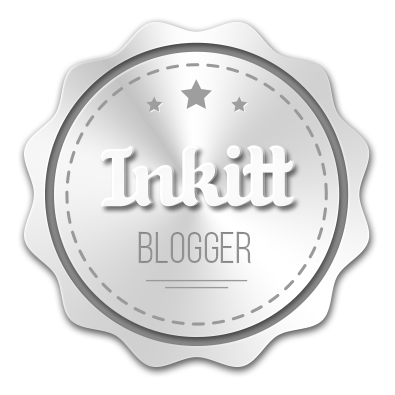 For this day the following blogs are also taking part.